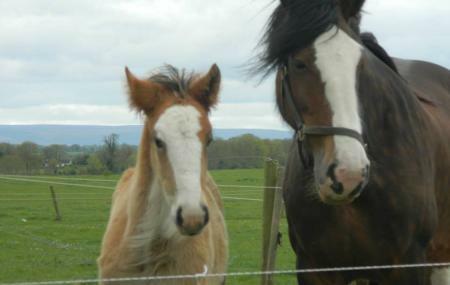 Tullamore Pet Farm is a place where you would find a variety of domestic animals. Located just on the outskirts of Tullamore, it is an ideal place to get the taste of farming life. While much of the land is used for agricultural purposes, the remaining part is dedicated to pet farm. Here you will find alpacas, red deer, goats, emus, mini horses, and guinea pigs. Kids have loads of fun petting nd feeding these friendly animals. Besides, the children enjoy to their heart’s content in the play area equipped with a four tower multi play unit, swings, slides, and rockers. The aviary housing a variety of colorful birds proves to be a treat to the kids as well as adults. An ideal place to hangout with dear ones, head towards this place for a fun weekend. Find the joy in planning a D.I.Y. trip by using this awesome Ballinagar trip planner. Book perfect hotels in Ballinagar like Great National Central Hotel Tullamore, Barrow View B&b, Gormagh B&b and Sea Dew B&b. If you want to add the visit to Tullamore Pet Farm in your trip, you can choose from the variety of Ballinagar vacation packages that can be designed to suit your preferences. These packages also cover your major concern of how to reach Ballinagar. Love this? Explore the entire list of places to visit in Ballinagar before you plan your trip. Fancy a good night's sleep after a tiring day? Check out where to stay in Ballinagar and book an accommodation of your choice. Fun for the kids. Friendly and helpful staff in a laid-back environment. Kids enjoyed petting the guinea pigs and walking the dogs. We enjoyed seeing animals such as the alpaca. The animal enclosures generally seemed big enough.